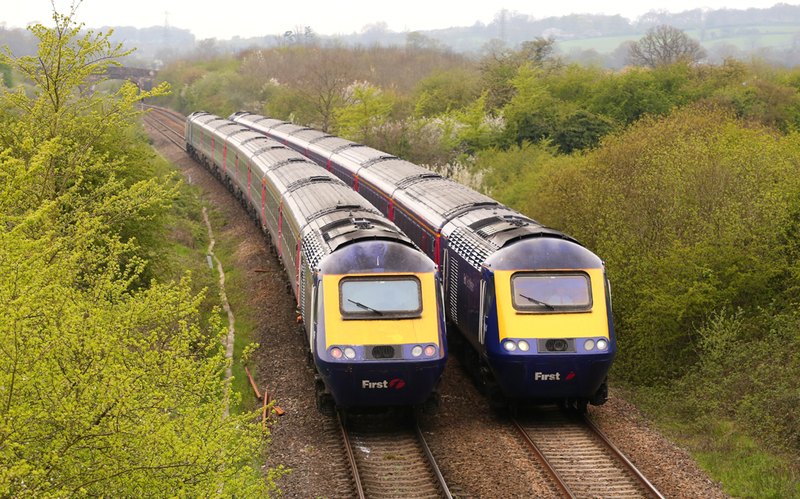 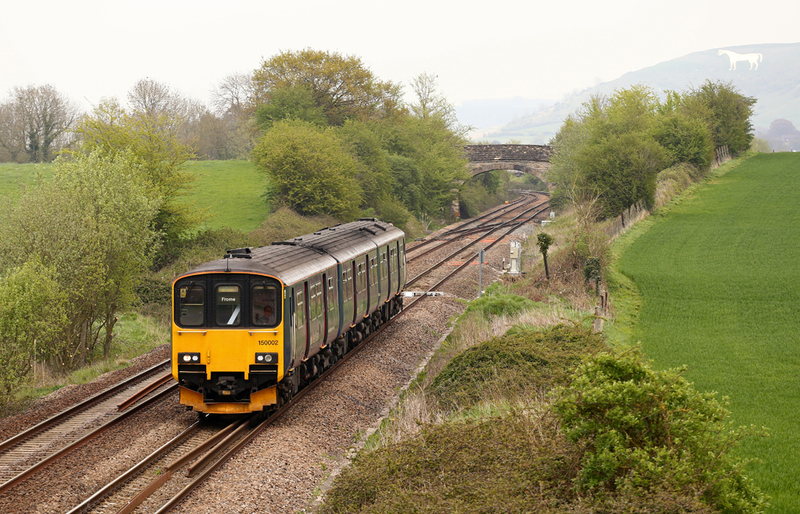 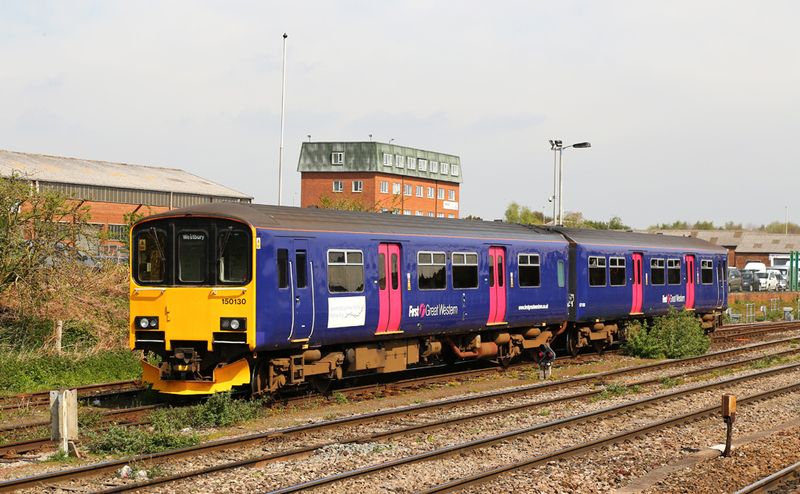 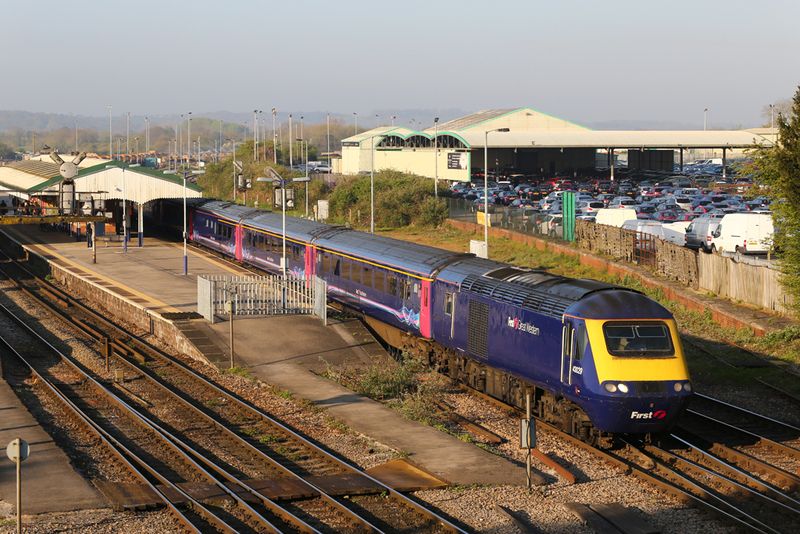 Westbury is situated on the Berks & Hants route between Taunton - Reading, close to the Mendip Hills. 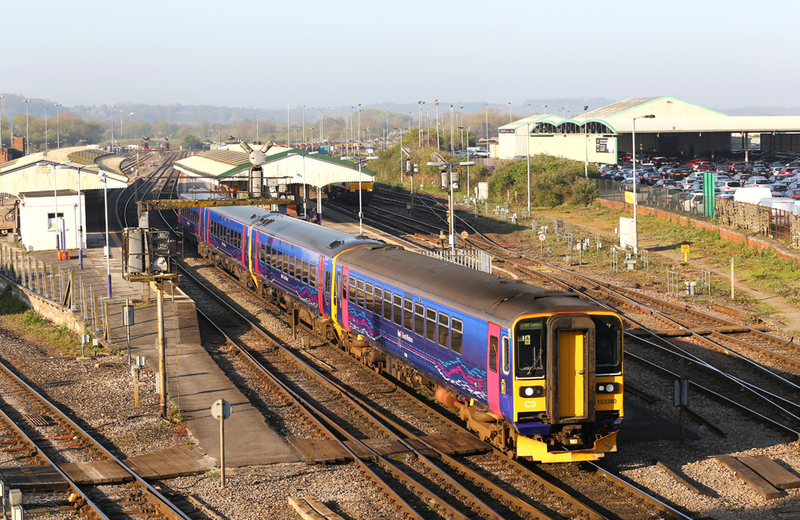 The station serves many surrounding towns and villages offering good travel connections to London, Midlands, South and West. 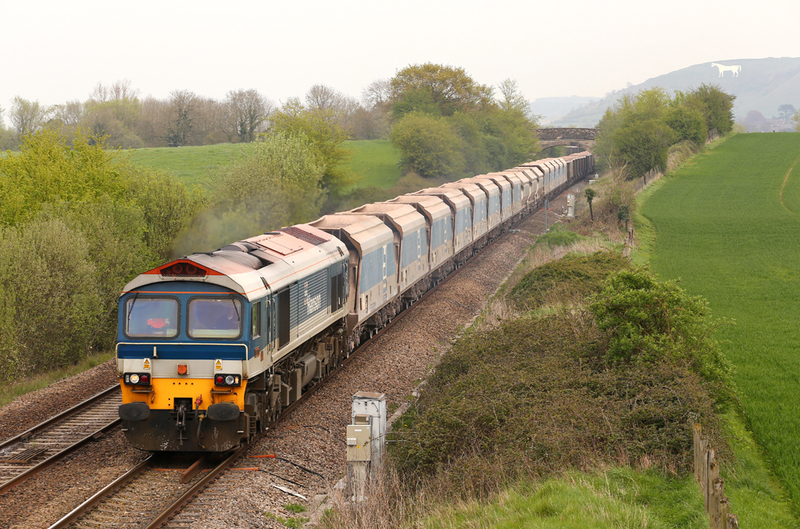 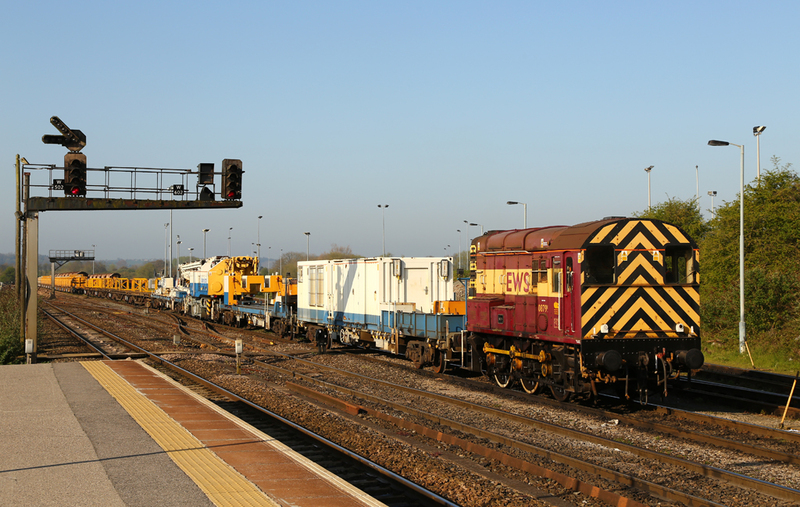 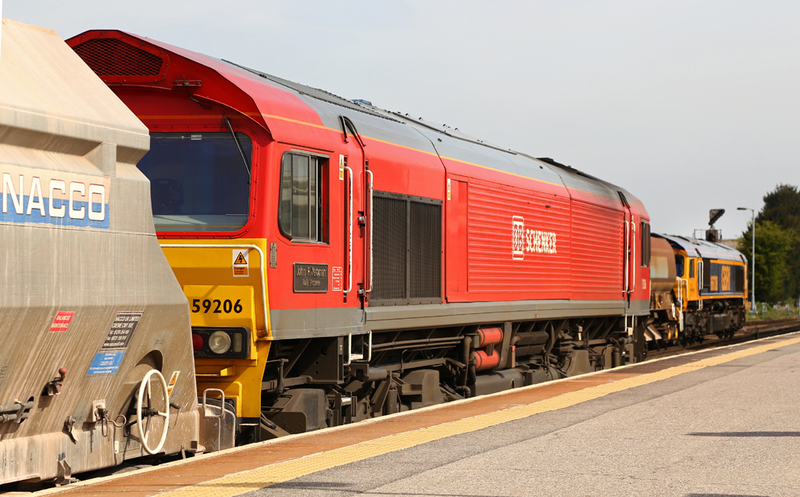 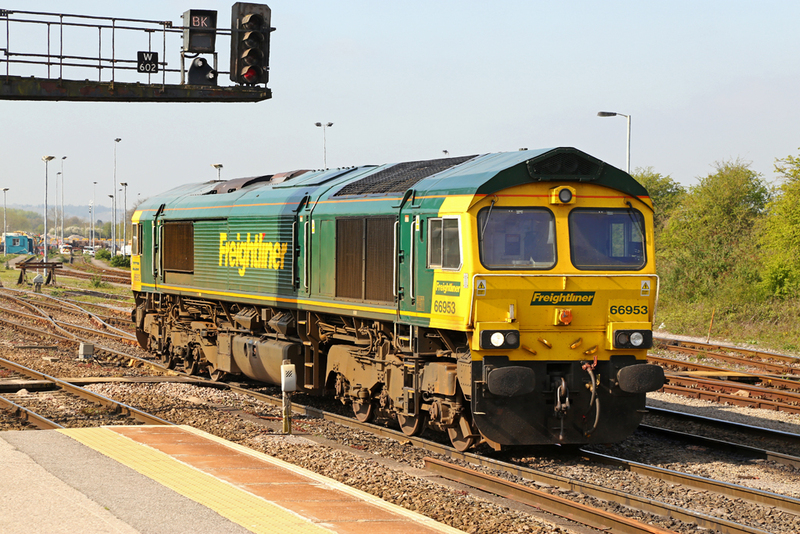 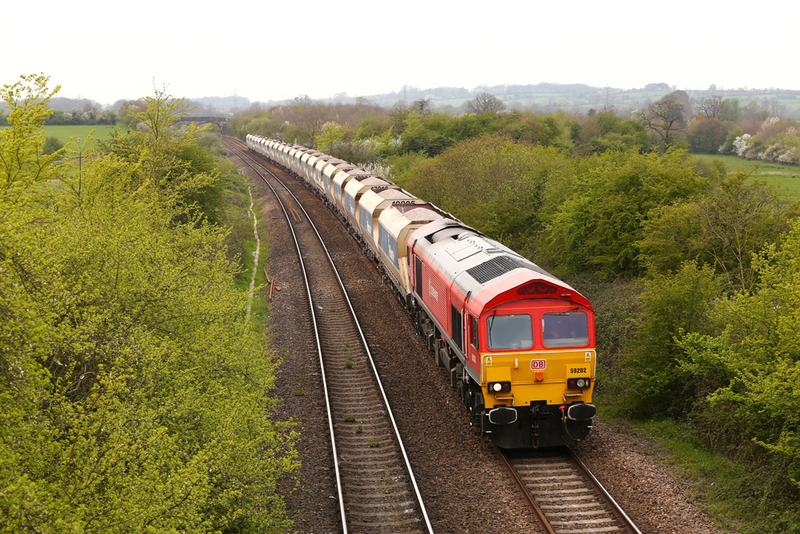 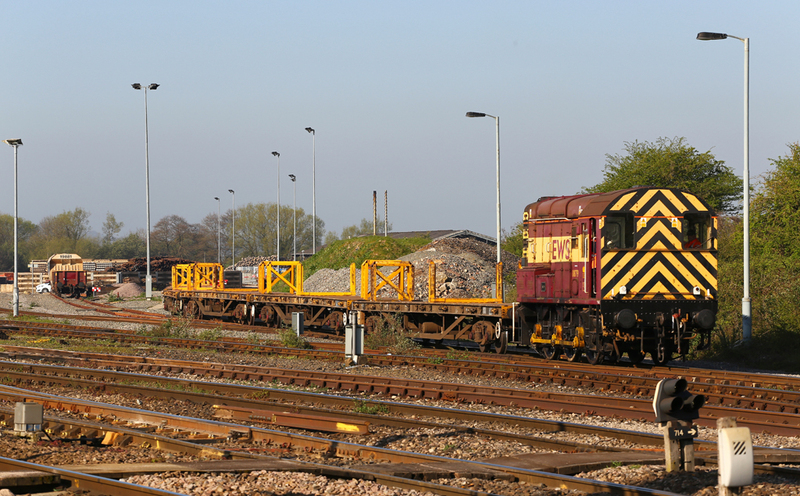 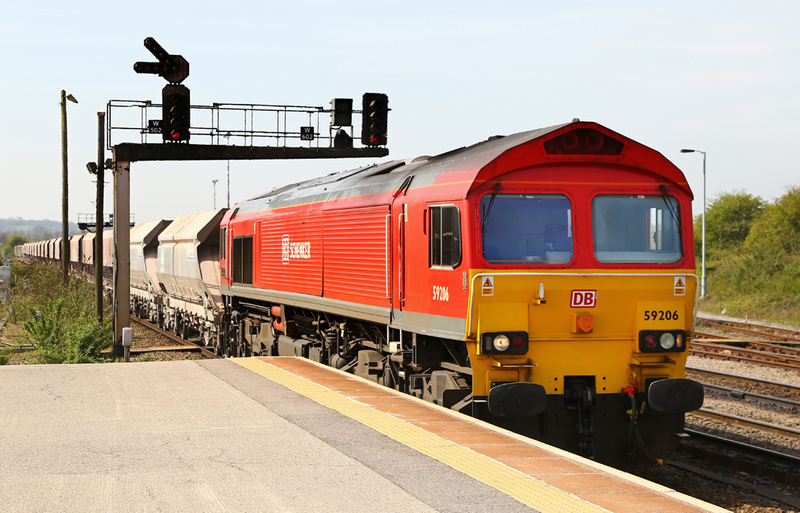 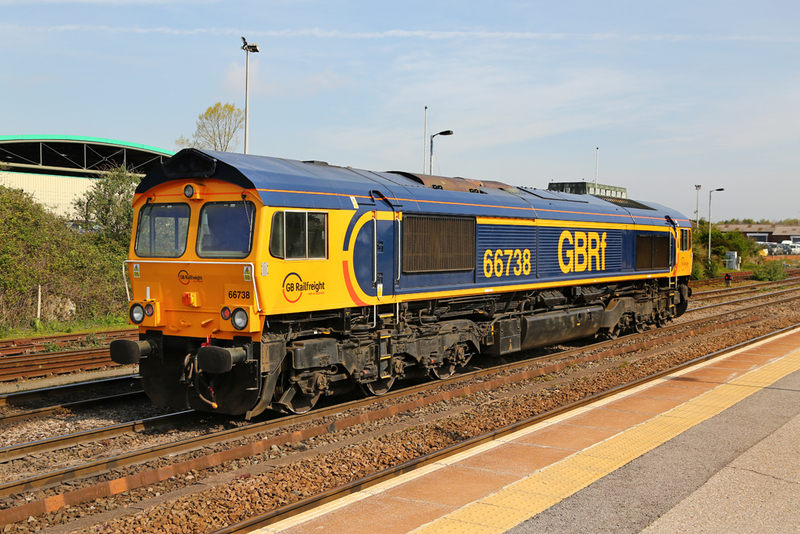 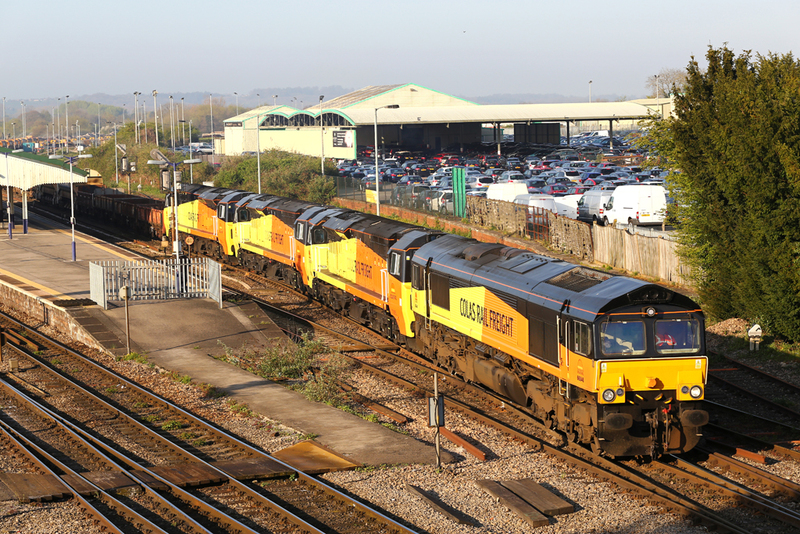 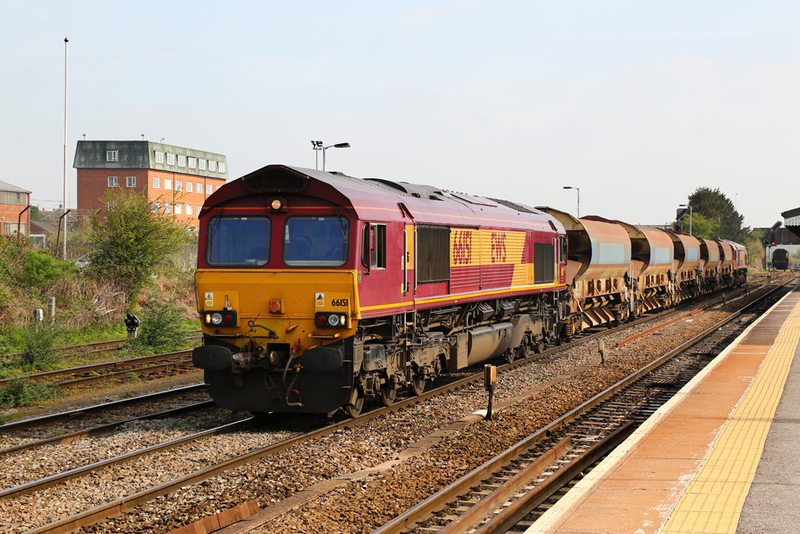 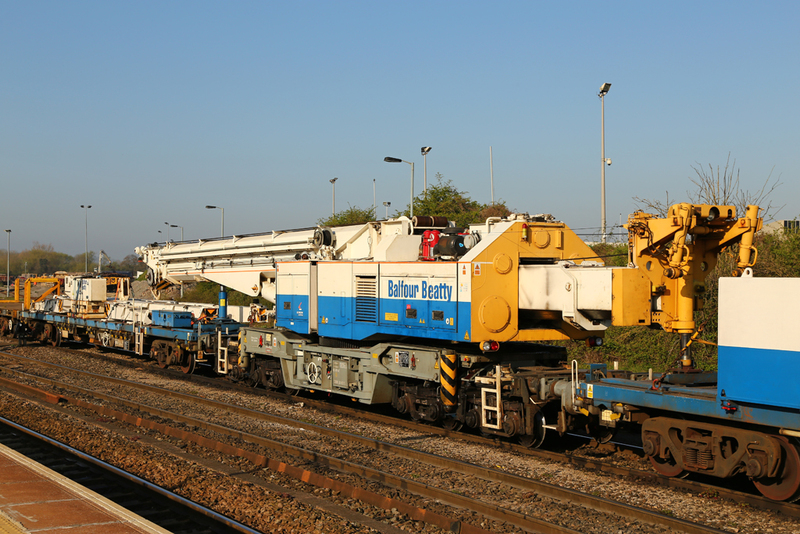 It also offers a busy freight scene thanks to it's extensive engineering yards, Network Rail track recycling centre and stone traffic from both Whatley and Merehead Quarries. 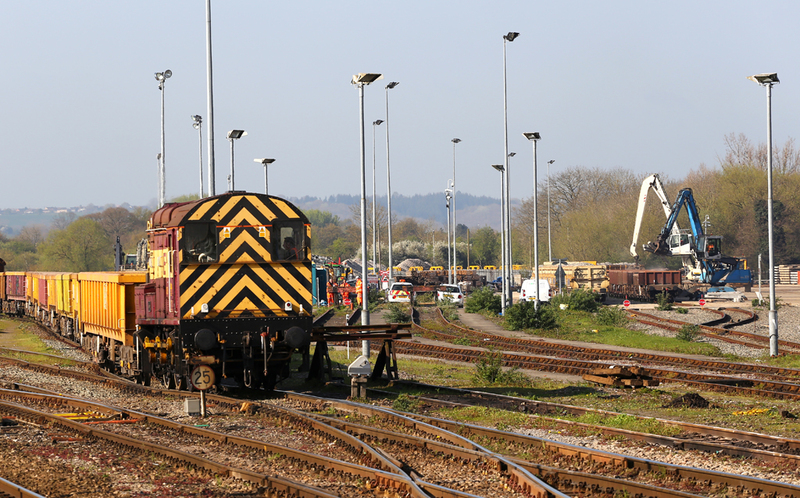 Westbury has long been an integeral base of south west based engineering activities, with trains operating in a 100 mile radius of the yards. 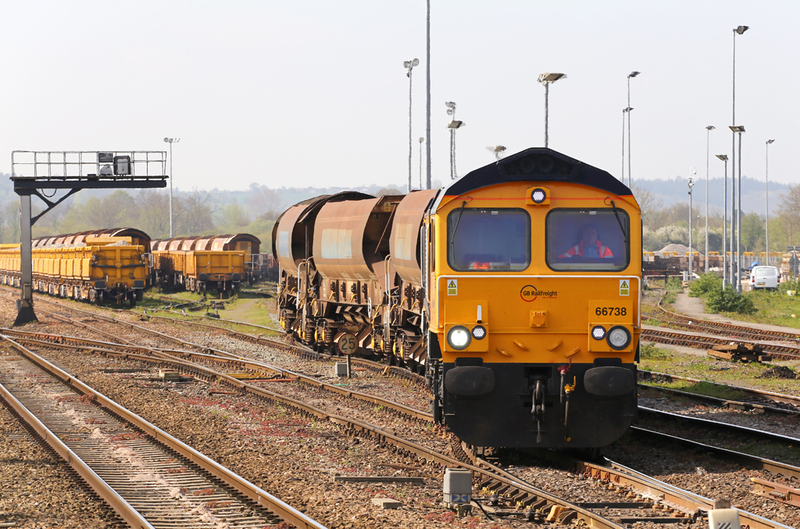 The purpose of our visit was to record the busy engineering scene which now operates with multiple companies such as DB Schenker, Freightliner, GBRf and Colas Rail Freight. 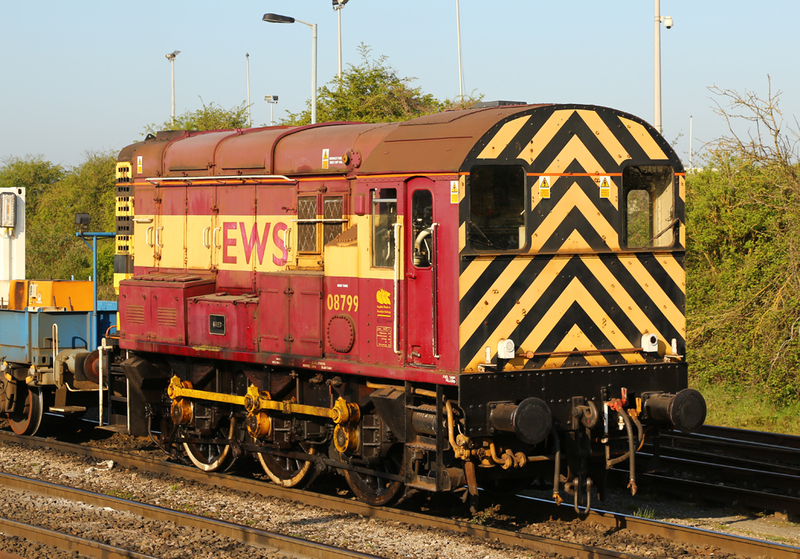 EWS liveried Class 08 No.08799 was the current yard shunter at Westbury, and was kept busy all day shunting wagons and forming trains ready for departures. 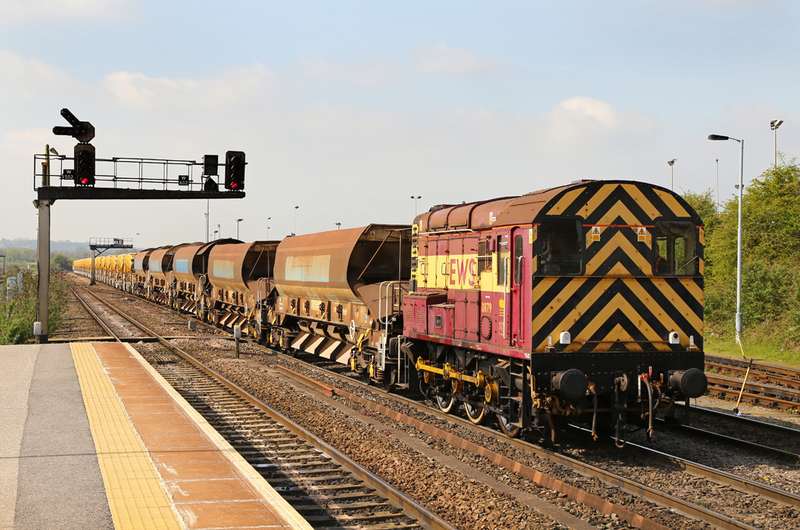 On several occasions the Class 08 was hauling between 20 - 30 wagons at a time in and out of the extensive sidings. 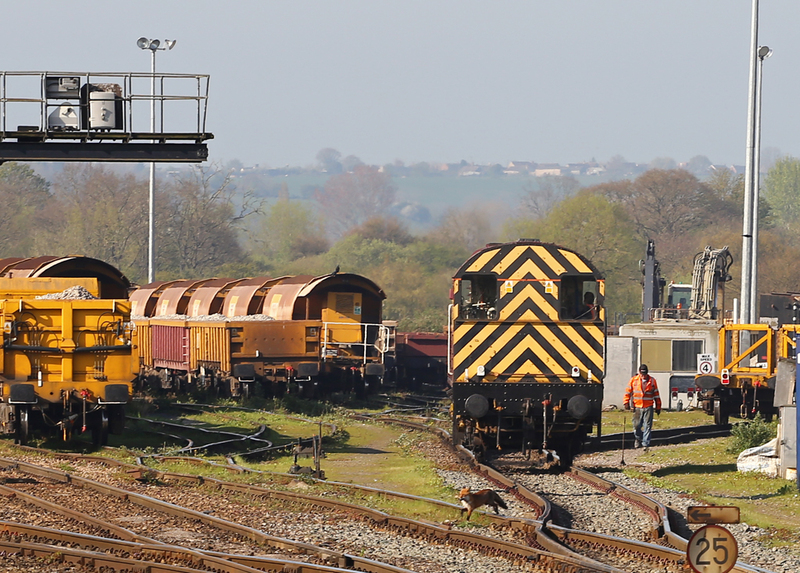 A bold fox makes a dash from one side of Westbury Yard (approx 15 tracks) to the other during the mid morning, with the ground crew of the Class 08 shunter seemingly oblivious to the local wildlife.